One of my favorite things about Biola is that each student gets to graduate with a minor in Biblical Studies! Ten Bible classes are woven into our general education curriculum and we take those throughout our time here. 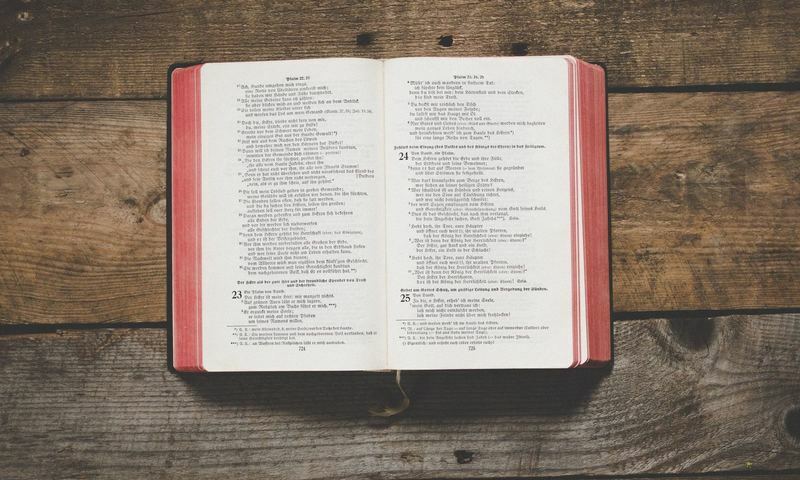 Many prospective students worry that taking on the 30 credit Bible minor will feel like a burden on them while they’re working towards their major. However, our core curriculum load (General Education requirements) is lighter here than it is at some other schools. This lightened GE load creates a totally doable and balanced schedule of Bible classes and non-Bible classes. Typically we only need to take 1-2 Bible classes per semester. Studying the Bible academically has been a joy that I didn’t fully expect to experience during my college years. But I have sincerely loved and enjoyed my Bible classes! I’m on my 7th out of the 10 right now. For this blog post I thought it would be fun to summarize what I have specifically liked about the classes I’ve taken. If you’re considering attending Biola, I hope this makes you excited for what you can look forward to! BBST 103 Biblical Interpretation & Spiritual Formation (Every student takes this class) This one is still one of my top favorites! It taught me: (1) How to analyze the context of certain passages and to read and interpret the Bible correctly. Since taking this class, I have felt way more confident approaching the Scriptures (even the more confusing sections). As a result of this class, I enjoy reading the Bible more, and I feel comfortable knowing that I’m probably extracting the right meanings from the text. (2) This class also introduced me to new spiritual disciplines (practices) that I’ve incorporated into my life which have enriched my personal quiet times with the Lord. Overall, this class was a wonderful experience that deepened my love for Jesus and his Word! BBST 165 Foundations of Christian Thought (Every student takes this class) This one made me feel more confident in my Christian faith by helping me think critically about the theology of Christianity and the evidence for the accuracy of the the Bible. I also came out of it with a better understanding of other major religions and worldviews. We got to read some great books, and we analyzed and memorized some important Scripture passages. BBST 209 Old Testament History and Literature (Every student takes this class) This one is definitely in my top 2 Bible classes! I’ve been reading the Bible since I was young. Yet, while I was taking the class, I felt I was reading the Bible for the very first time! It made me fall absolutely in love with the Bible. Understanding the Old Testament has given me an appreciation for the New Testament, because I can see how the the Bible is truly a long narrative of God’s unfolding redemptive plan for creation. I was also encouraged to learn about some of the key characters of the Bible and their stories! BBST 210 New Testament: History and Literature (Every student takes this class.) In this class I saw again how the Bible is like a grand, two-part story. I came to a fuller understanding of what it means to live in the Kingdom of God and to mirror Jesus. I specifically enjoyed learning more about the character and nature of Jesus, why there are four gospels, and how the prophecies of the OT were fulfilled in the NT. BBST 251 Theology 1 (Every student takes this class.) This is the class that I’m currently taking, but so far I’m enjoying the in-class discussions! The professor is very engaging, warm, and funny, and he makes the lectures relevant to our lives (shout out to Professor Thaddeus Williams!) This class has left me feeling challenged, convicted, and desiring to think about God correctly. BBST 306 (For 306, we have 3 options of classes to choose from. I chose Early Christian History: Acts) This class was the most academically challenging for me. But it ultimately made me want to live my life in a way that shows evidence of my faith in Jesus. It made me want to keep my mind centered on his great and meaningful plans for me, and to have a willingness to make sacrifices on behalf of the Gospel. It made me feel the gravity and significance of being a born-again Christian! BBST 300/400 Elective (I chose Life and Letters of Paul as my elective) I really liked and still value this class! Taking it helped me to better interpret some of my favorite books of the Bible. It also encouraged me in my personal faith and was a refreshing change of literary style. I think this class has been one of the most helpful to me, since Paul’s books are some of the most popular and commonly referenced by believers. P.S. Paul is amazing!!! Jessica is a transfer junior Public Relations major from Salem, Oregon. You’ll find Jessica listening to old style jazz, you know, like the music from those old black and white films. Jessica is a big fan of dark chocolate. But not just dark chocolate, more like SUPER dark chocolate. If you’re ever on campus, look for a girl in blue, grey or striped apparel and a big smile on her face!